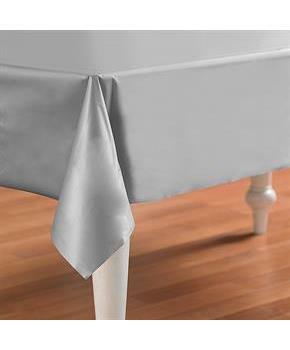 A glittering table will await your kid’s birthday party guests when you drape it in this silver tablecover. 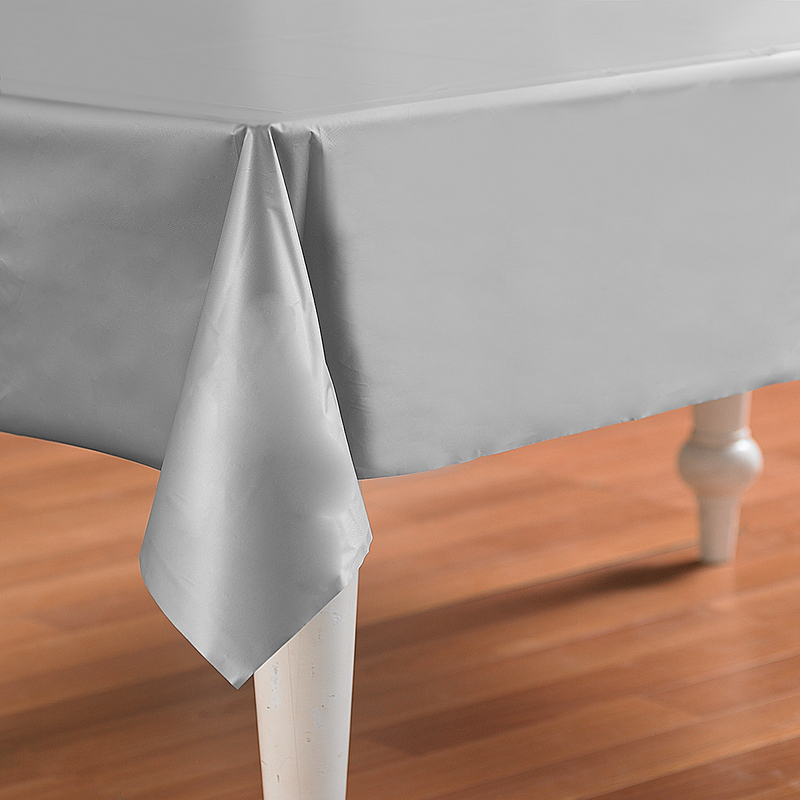 Our Shimmering Silver (Silver) Plastic Tablecover has a simple color scheme that makes it perfect for almost any birthday party theme. This pretty plastic tablecover measures approximately 54" x 108". Includes: 1 Shimmering Silver (Silver) Plastic Tablecover.